I must admit, I’m not the best at finishing sections on my boat renovation project. Strangely, I created a door from scratch using a timber frame, marine plywood and added a beautifully reclaimed brass porthole. Yet somehow I didn’t add a door handle for a further 2 months. Honestly, I’m not lazy I just have the attention span of a child. fiasco. Luckily buried in the mud in the boatyard I found an old galvanised cleat. 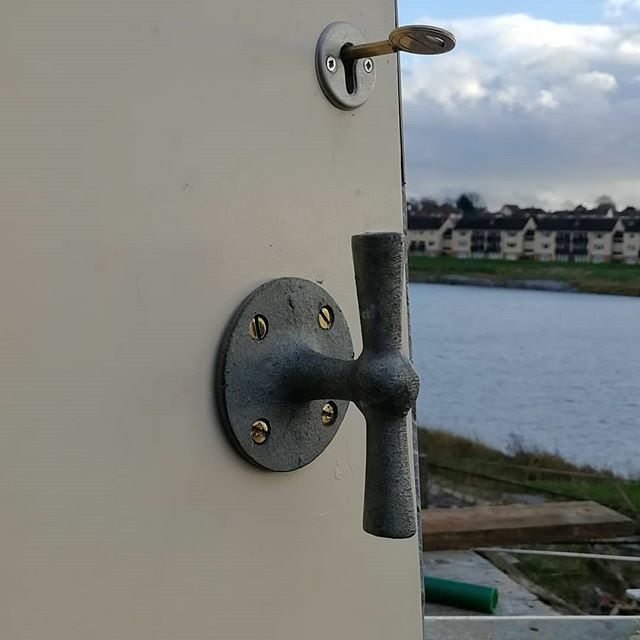 Granted it’s not to everyone’s taste and most defiantly not as fancy as the solid brass cup handles, but it’s a simple soloution for a simple problem. Better yet – it cost me nothing!